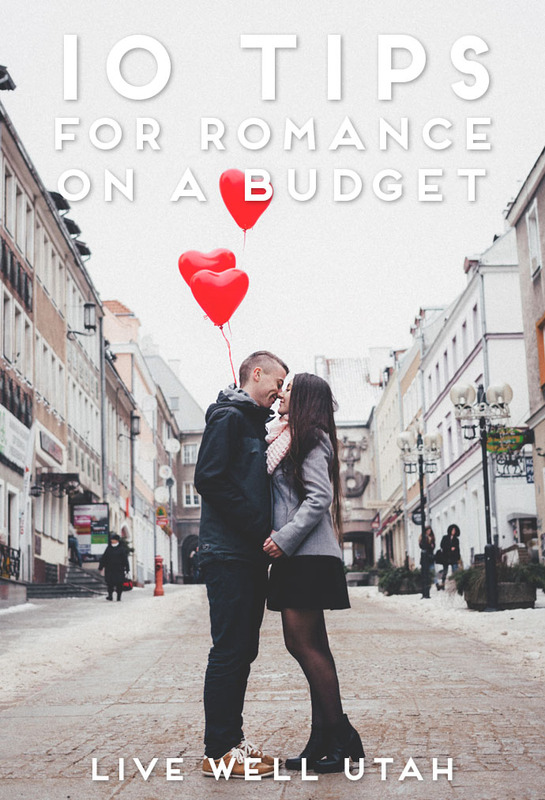 You don’t have to break the bank to add a little romance back into your relationship. Try these 10 tips to make it happen. When couples first meet, romantic feelings are usually very strong and partners go out of their way to create romantic experiences together. Over time, it can become challenging to find time, money and energy to create romantic moments together. However, creating romantic moments together does not have to be time consuming or expensive. Consider the following tips to reignite the romance in your relationship. Candlelight dinner. Going out for an expensive dinner is a popular way to show your partner that you care, but is often reserved for special occasions because of the cost. Almost any meal (even take-out) can be made special by adding a nice ambiance of candles and soft music. Just be sure to keep the television off and focus instead on having a conversation with your sweetheart. To make the night extra special, dress up in your best clothes to make it feel like you are at a special event. Express yourself. Take a moment to reflect on the things you really like or appreciate about your partner but often don’t say. Write them a short note and put it some place where it will surprise him or her, like their car’s dashboard or tucked inside their tablet case. While handwritten notes are a bit more personal, romantic text messages can also be a nice surprise. De-stress together. Forget about life’s challenges while watching a movie you both enjoy and giving each other a massage or a pedicure. Take a stroll. Going on a walk with you partner can provide a relaxing time to talk, and provide a boost of feel-good endorphins. For extra romance, try going for a walk at sunset. Get “board.” Board games are a timeless and inexpensive way of having fun together. To add some extra fun, decide on a prize that the “winner” will get such as a favorite treat or doing a chore for the other person, and be sure to make an effort to flirt with each other while playing. Catch some culture. Concerts or plays can make a fun date night but can also be expensive. As an alternative, check out the local newspaper and community websites for local band concerts, school plays and community-hosted events. Dream together. Escape from your current financial situation and let your imagination run free as you dream together about your hopes and dreams for the future. Consider creating a dream board or book of ideas and pictures that you can reflect on together at a later time. Get cozy. Snuggle up together in a blanket and enjoy the night sky together. For an added bonus, find a place to star gaze where you can also cozy up together in the glow of a small fire. Take a class together. Research indicates that couples who take time to learn relationship skills and insights together have stronger and happier relationships. Consider attending a healthy relationship class in your area or reading and discussing a relationship book or article aimed at keeping your relationship strong. Find classes and resources at www.strongermarriage.org. Expand your experiences. Attending community date nights can be fun because you can try new experiences and you can have a fun night out without all of the event planning! They also provide opportunities to interact with other couples who are committed to strengthening their relationships. Check out the low-cost date nights coming up this spring across the Wasatch Front found on www.strongermarriage.org under classes and events in Weber County.